Andy Pardoe (Trustee), Adie Craven, a donor of the last few years and myself departed for India from Birmingham on October 18th evening. Next morning, we met Indrajit and Biswajit of Saving Tiger Society at the domestic airport in Delhi. A few hours later, we took a flight to Bhopal, which was a forty minute flight, Bhopal is the capital of Madhya Pradesh state. Next morning, we visited the Police Dog Training Centre, to see how the four Belgian Malinois dogs, we had provided are progressing in their training, they had been training for two months at this time. 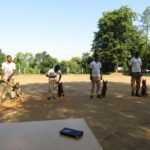 The dogs have grown in size in this time, they will have seven more months training, then go to work in the forest areas of Kanha, Pench, Panna and Sanjay Dubri Tiger Reserves, which are in Madhya Pradesh, they will track poachers and give security for the forest staff. We gave the handlers a book each, it was breed specific to help them for the future, these had been purchased in the UK. The training is going well, we were also informed that one of the dogs is performing above standard for his age, this we get regular updates on and it was good for us to be able to see this for ourselves also. After we had visited the Dog Training Centre, we went to Van Vihar National Park, there are animals living their, some in natural way, such as Nilgai, Chital, there are some animals, such as Sloth bear, that have been rescued, also a snake identification / training area. There are also a couple of Tiger, that have been taken from the wild, as they were in conflict with people, they are monitoring them at present and have large enclosures, hoping to release them back into the wild, they have done this with a male Tiger a few months ago in to Sanjay Dubri Tiger Reserve, which is collared and so far all is going well. There are also some Leopards here, these have been in conflict with humans and are very much less likely to be released back into the wild. In the afternoon, we had a meeting with the Chef Wildlife Warden (CWLW) and Field Directors of the Kanha, Satpura, Sanjay Dubri National Parks. The CWLW explained how we could look to help with Saving Tiger Society, after the relocation of villages from inside the core areas of Satpura and Sanjay Dubri. We were given some maps and information of the villages relocated so far in 2016 and those that are soon to be moving before year end. They would like us to help the process once the villages have the funds to move to an area with good land and at the correct price, as some villagers are being offered it at twice the normal price, also to ensure its not sold to two different villagers by working with the land registry department. Indrajit would look to put a budget and proposal to us, we can then look at this and work forward. Next morning, we departed for Bhopal for a long drive to Sanjay Dubri Tiger Reserve, which is around 700 kms, we are to help with a two day medical health camp for forest staff their, we did the same also in February time. We departed at 09.30 in the morning, travelling via Jabalpur arriving at our rest house at 03.30 next morning, an 18 hour drive. We then had some sleep until 08.00, we then went onto the roof of the guest house for a look around, immediately Adie was surrounded by some honey bees, shortly after, they also started to attack Andy and myself, we then ran down the stairs, you could see a large nest on the railings of the stairs. We all got inside as soon as possible, though got stung about 10 times, having to hide under sheets. After some time, we went to another rest house to get away from the honey bees, we also got some medical treatment for the honey bee stings, which was 5 different tablets, this was prescribed by the doctors that were giving the medical camp for the forest staff in the afternoon. 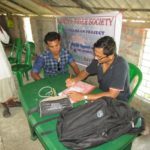 The medical camp for forest staff in the afternoon was at Majuli forest camp, there was 156 staff seen, our health also improved from the morning of having sickness and looseness of the bowels. Next day of the medical camp was at Pori rest house, we stayed there the next two nights. 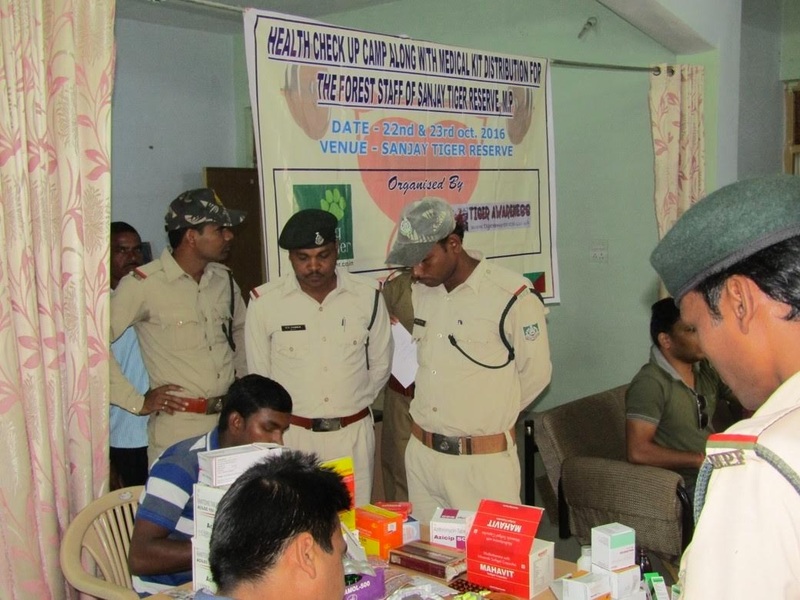 There was 146 forest staff seen also seeing the village of Barkadol, which 95 villagers were given health check-ups. We also had purchased 150 medical kits for the forest staff, which would be distributed by the department on a priority basis. Next morning, we visited the forest and visited 3 villages that are due for relocation from the forest area. One village has been paid most of the relocation package, they are looking to move asap, though people selling the land they want to purchase, are trying to sell it at twice the normal price, hence this is slowing the process down for the villagers and forest department. Indrajit in talking with the villagers, had started a communication process, he would like to re visit the villages in December with a team member and local contact, hoping to complete the relocation process satisfactorily. Each adult over 18 years old in the family get 10 Lakh Rupees (£12,500) which is a lot of money, hopefully they can have the 3 villages relocated by March 2017. After getting back from the village visit in the afternoon, we made our way by car too Tala, Bandhavgarh.The journey was a 3 hour drive, on arriving we met up with a friend Aqeel Farooqi, whom I had not seen in the last 6 years. We had a short conversation, some food, then met up next morning, visiting the forest area of Khitauli. We observed Chital, other herbivores and a short glimpse of 3 sub adult Tiger. After our visit to the forest, Aqeel and I spent some time talking, then I had to leave with the rest of the team, as we were to make our way to Pench by car, we were to visit the boundary walls work we had supported around 3 months earlier, just before the monsoon set in, we were also to have a meeting with the Field Director of Pench. The journey was a 350 kms drive and we arrived at Rukhad forest rest house at 9.30 pm. In the core area of Pench, there are 38 Tiger, not including cubs under 12 months old. Next morning, we visited many of the 23 wells we had provided funding for boundary walls, there was a lot of foliage around the wells and this showed how easy it could be for Tiger and other wildlife to fall in the wells at night, if we had not funded this work. There has been Tiger, Leopard and herbivores drowned in the wells before we built the boundary walls. In the afternoon, we had a meeting with the Field Director of Pench, he gave us some ideas of how, we could look to help in the future. 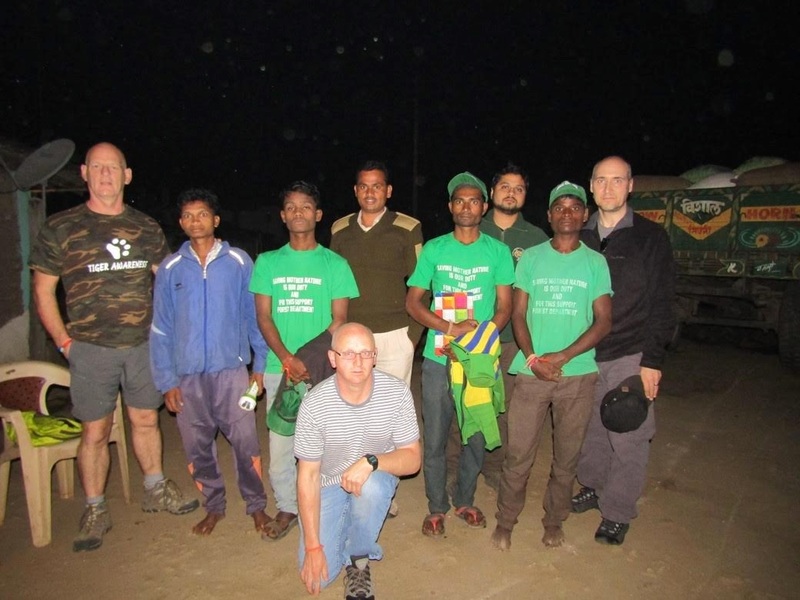 Later in the afternoon, we visited one of the Animal Squads we had supported with funding, this team of seven volunteers, work with the forest department in the Paraspani area, they patrol at night, to help reduce herbivores crop raiding and man animal conflict with carnivores. We asked if there is anything, they need to perform their duty, they asked if they could have some winter jackets, gum boots and larger spotlight torches, I asked Indrajit to let me have a budget and we would could look to supply the items after that. We also gave the team a bonus of 2100 Rupees (£ 27), as it is Diwali in a few days’ time. Next morning, we visited the forest area of Pench for around 5 hours from early morning, we observed gaur, jackal, nilgai, many chital, seeing pugmark of Tiger, though no physical sighting on this occasion. After our visit to the forest area, we made our way to Nagpur, as we were to catch a flight to Kolkata, then onto the Sundarbans. On the way to the airport, we had to stop at the hospital, as the honey bee stings I had sustained, were flaring up again, my right arm was swelling, my left eye was swelling up and my leg bites were getting more prominent. The doctor at the hospital gave me some tablets for the next five days, I took the full course and these cleared up the bites. Our flight to Kolkata was early evening and took around one and half hours, we then took a car to Sundarbans, stopping of for some foods we would need over the next few days, as many of the shops would be closed due to Diwali. We arrived at the school project area at 01.30 next morning, we got everyone settled into their rooms and were up at 07.30 next morning. 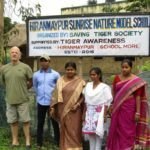 We visited the Nature Model school, this was a first opportunity for Andy as a Trustee to see this for himself, also how the funds Adie donates help our work and meet the teachers and Saving Tiger Society team. 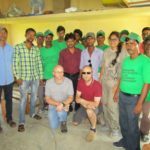 We then visited the new Learning Institute we had built in July this year in Narforgunj, as it had become too cramped to have all the students in one place at the original school project area. The building also had partitions, to allow to have smaller classes or quiet at the appropriate times. We then visited Haronmoypur school a short distance from the learning institute, I visited their also in February, the school was in a bad way, it needed the structure replacing, we funded this, we also pay the 3 teachers wages, there are 28 children that attend the school on a daily basis and come from a 5 mile radius. 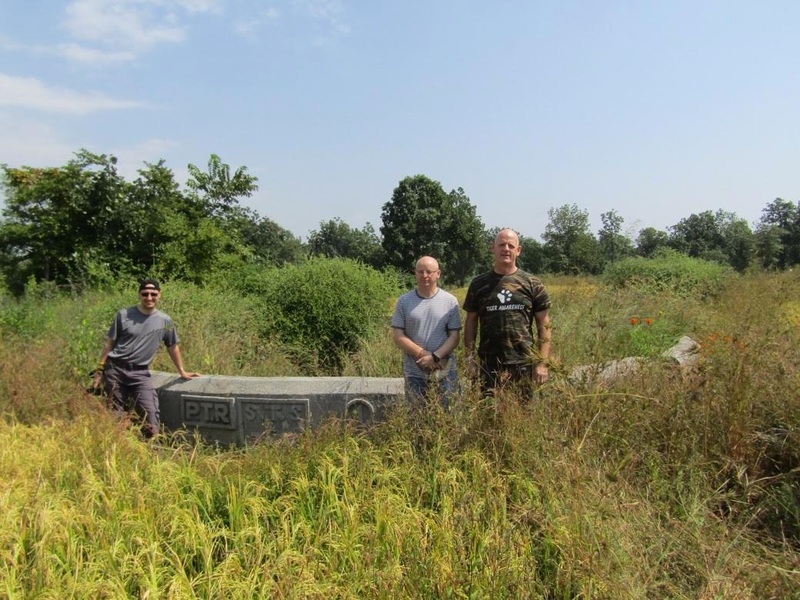 The staff also help when we have nature programs in the local area. 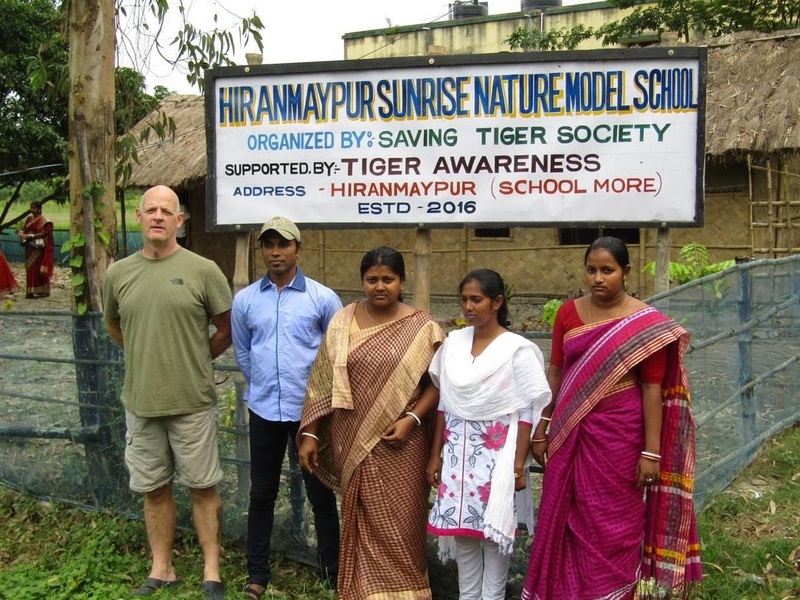 We then took a car to Basanti, so we could go out on a boat, so as able to show Andy / Adie some of the Sundarban forest area, including when we came back in the evening, the solar lighting lights could be seen, we had funded in the villages we have set up Tiger squads. 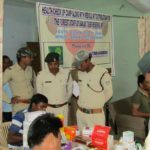 Next day, we did a medical camp in Gangamela for the villagers, there was 102 villagers who saw the doctor and were prescribed medicines. 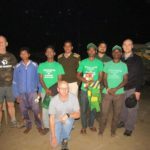 We also spoke with the Tiger squad members, this is the largest team, now 18 people, also we walked the area on the outside edge of the village, where they do their duty, including seeing the solar light post. The light posts shine light covering 400 metres each side, there are 5 in Gangamela, which means it covers 50 percent of the 5km they do their patrol duty at night, also it is known to reduce wildlife activity with the lighting. We hope to be able to add 3 more solar light posts in 2017 in the area. In the evening after the medical camp, we celebrated Diwali, with the Saving Tiger Society team, this was a first for me also, there was food, some fireworks and also some prayers at the little temple built inside the school project area grounds. Next morning, Sunday October 30th, Andy and Adie were to go back to Kolkata by car, Andy had an evening flight to Dubai then onto UK, Adie’s flight was next morning on the same route. After they had left, we went to Ballykhal and gave a medical camp, this is also one of the 8 villages we support with Tiger squads. There were 80 people seen by the doctor and team in the afternoon. Next morning, we went to Purba Bhasa Gurguri village by boat, we have supported a new Tiger squad team here. We met them and did a medical camp in the village, there was 120 people seen by the doctor and team, this was the first of its kind in the village for many years. We have also put up 2 solar light posts on the periphery of the village, this is on the same path that the Tiger squad do their duty at night, they patrol an area of 4 kms, we hope to be able to add three more in the village in 2017. Next morning, we went out on the boat, we were to spend the next 3 nights visiting areas of the forest, some new also. Initially we visited Sudhanyakhali, we observed water monitor lizard, chital and many birds, we stayed overnight on the boat at Jhorkhali. Next morning, we visited Bonnie Camp, a place I had visited before, we then moved onto a new area called Kalas. We observed crocodiles, many birds, chital, towards the end of the afternoon, we also spotted 5 people walking on the beach area as it was low tide, this was illegal, we reported them to the forest department. We had a visit, from the local forest officials of Kalas Beat Camp, asking what we had seen, they also questioned the boats from where the people had got down into forest area, they had been illegally fishing, we were informed they would get a fine and boat operator would lose their license, we stayed moored in the area overnight, as did 4 other boats. We departed Kalas early next morning, we went around the area for a few hours, hoping for sighting of Tiger, though again, we observed crocodiles and birds, we then made our way back to Jhorkhali, though after getting part of the way back, we were caught in a cyclone storm, first the rain was very heavy, then the winds got very strong, at one point pushing the boat sideways a short distance. We got to Bonnie Camp, stopped their for a couple of hours, hoping the storm would dissipate. We tried to go out again, after about 15 minutes the pilot of the boat, said it was not a good idea to continue on, as the winds on the water and choppy water were making the 6 cyclinder boat difficult to steer, also if we had got to the junction where the rivers join, the waters would be more difficult if not impassable to navigate at that time, it was decided to go back to Bonnie Camp for safety reasons and we spent the night their and the forest department support was much appreciated. We departed Bonni Camp early next morning, the winds had died down, though it was still drizzling, it took us around 2.5 hours to get back to Jhorkhali jetty, then taking motorcycles back to the school project area. In the afternoon, we did a medical camp for the school children and teachers, 40 children attended, this was low and affected by the rain, as it had got heavier again, since we had got back to the camp area. Next morning, it was still raining, the humidity had also reduced, today there was a Fishery / Agriculture Training at the school building, it was decided to bring the villagers here, by motorised rickshaw, so as not to cancel due to the rain. There was 61 participants on day one of the training, most from Tridipnagar, the rest from a village close to the school area. 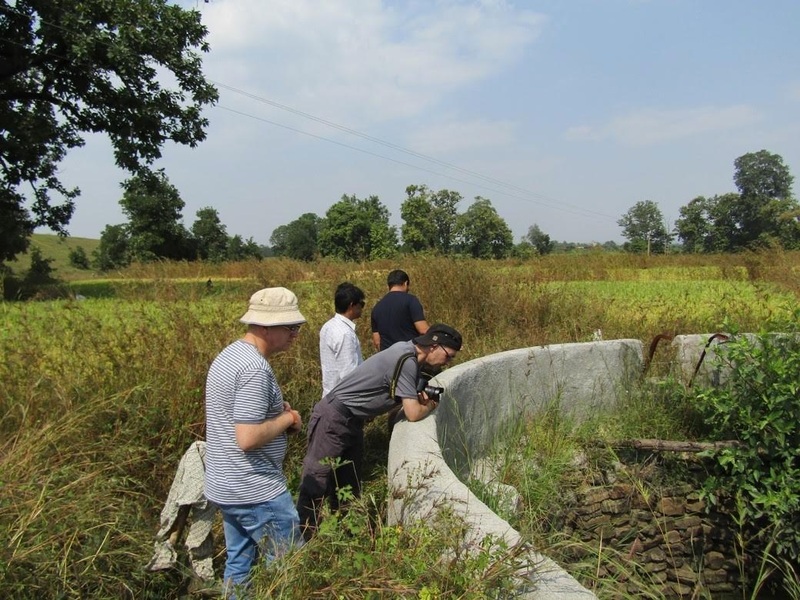 The training, shows the villagers how to be more efficient with their fishing ponds, how to maximise their agriculture methods and reduce fertilisers, this also reduces people going into the forest and taking resources / chance of conflict with Tiger. The villages, interacted very well with the instructor and we also supplied lunch for the people who attend. We had done this in 4 other villages earlier in the year also, there was another village that we would do this also on this visit. In the afternoon a small team and myself, went to Masta Para, to meet the new Tiger squad, they patrol an area of 2 kms at night, we were informed Tiger move in this area frequently, mostly rice fields and close to the river crossing from the core area, a villager was killed by Tiger recently, though he was collecting crabs in another buffer area, we are due to give some compensation support to the family in a couple of days, we also give a medical camp for the villagers, there was 91 villagers seen in the medical camp, the rain had been continuing all day and into the evening also. Next day, the second day of the Fishery / Agriculture training continued at the school project area all day. Indrajit and myself, also did some admin work and discussed 2017 work. Next morning, we had a meeting with the teachers and all staff, after school time had finished, we also paid Novembers monthly salary to all staff, the meeting lasted around 2 hours. In the afternoon, we visited Masta Para again, to give 20,000 Rupees (£240) compensation support to family of Sagar Badhya who lost his life to Tiger when collecting crabs in Benifali forest area in September as previously mentioned, he leaves behind a wife and 3 young girls. The body was partially eaten by Tiger and was never recovered, therefore the authorities have at present been unable to give any compensation. After we visited a man called Khitish Roy of Cha No 4 village, he was bitten by a Tiger in the same area as Sagar Badhya, though he managed to get away, he showed us the scars, also he is still having medical treatment for the injuries, he has had to sell his cattle to fund the medical treatment. We said, we would look to see if we could help in the future for his next operation, would cost around 35,000 Rupees (£ 432). The same day, was the first day of training in Masta Para for the Fishery / Agriculture training, there was 40 people taking part in the training. Next day, we visited the second day of the Fishery / Agriculture training and did some more admin in the afternoon, in the evening, we had a badminton tournament between all the staff. The last day in Sundarbans, in the morning, we again visited Haronmoypur school, the interior needs painting, to stop the termites getting at the wood structure, also will be lighter, after lunch and saying Good Bye for this time and thank you for the support, we made our way back to Kolkata by car and stayed at Indrajits family house until the next morning, then went to Kolkata Airport and then took my flight to Dubai and then onto UK. 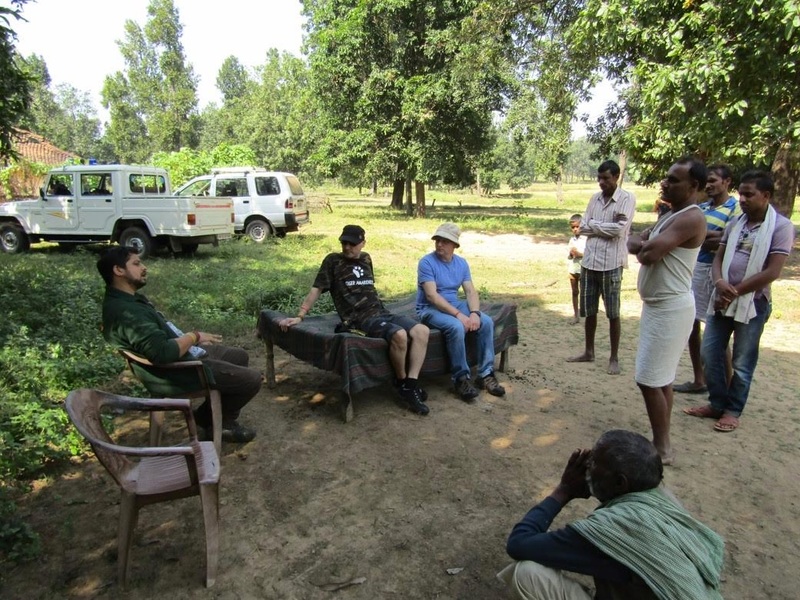 The 3-week visit, had been very busy, Andy had seen our work in the field for the first time, we observed the dogs in training, supported forest staff with medical camps, villagers also. The school is progressing well after 3 years. We have to keep our focus for fundraising on our mission statement of working together with forest department and local communities to ensure we meet our charity objectives / Tiger can stay wild in the areas of Madhya Pradesh and Sundarbans we are working at present. 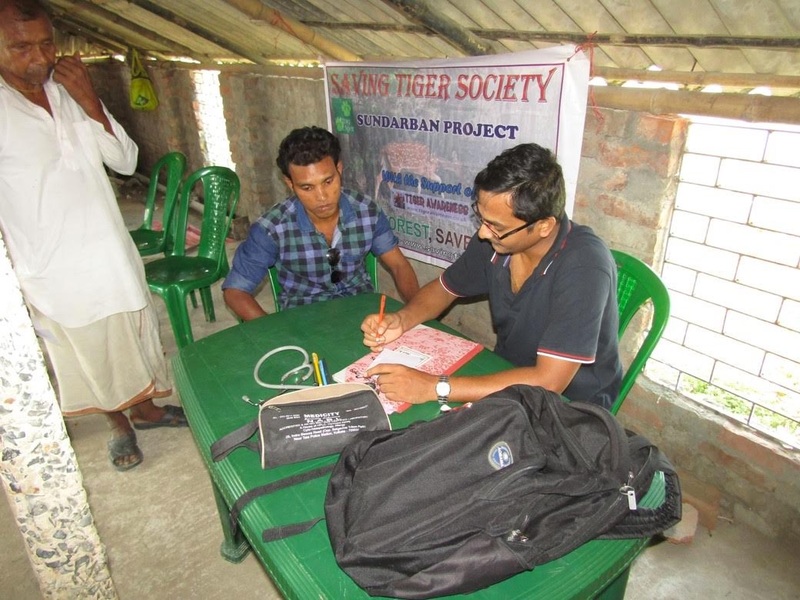 We could not do this without the hard work and dedication of Saving Tiger Society.